Lighthouse Day 2019 is tentatively scheduled for the first Saturday in August. Origin of National Lighthouse Day: On this day in 1789, the U.S. Congress enacted legislation allowing the federal government control over the creation and maintenance of lighthouses. This special day evolved out of this event, and in recent years, through efforts to preserve lighthouses as a important historical symbol in America. Throughout maritime history, Lighthouses have shined their powerful, sweeping lights through the fog and storms, allowing ships of all kinds to find their way back to port during inclement weather. With the advent of radar and GPS technology, lighthouses have taken a back seat in guiding ships to port. However, they remain the universal symbol of safe harbor to ships and communities that rely upon the sea for their livelihood. 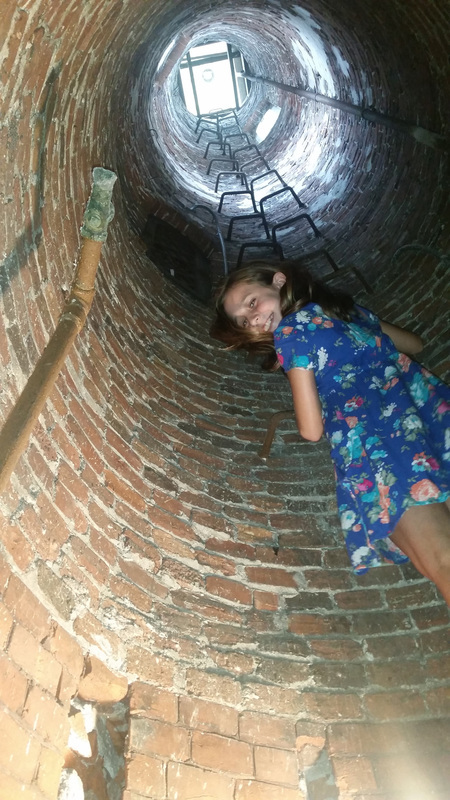 See below, Gia takes a sneak peek at the inside of our incredible lighthouse!